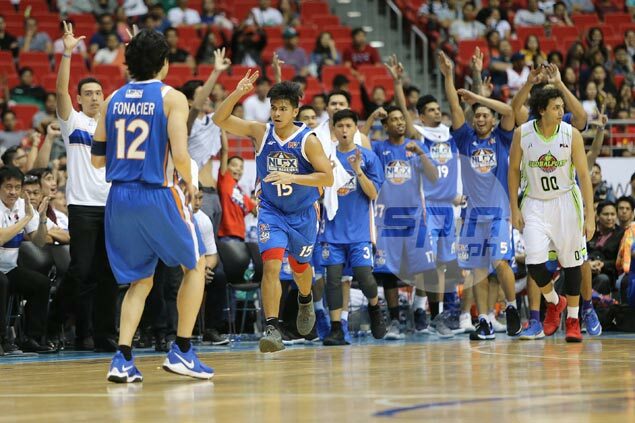 Freshman guard Kiefer Ravena has been living up to the high expectations two games into the PBA’s 43rd season. The former Ateneo star posted averages of 19 points, 8.5 assists, 4.5 rebounds and 2 steals in NLEX victories over KIA and GlobalPort to win the first PBA Press Corps Player of the Week award this season. Ravena beat NLEX teammate JR Quinahan, San Miguel slotman June Mar Fajardo, Ginebra’s Greg Slaughter, Meralco forward KG Canaleta, and Rain or Shine’s big men Beau Belga and Raymond Almazan for the honor. The two-time UAAP MVP got off to an explosive debut after churning out a near triple-double output of 18 points, 12 assists and seven rebounds to help NLEX shake off a tough KIA Picanto side, 119-115 during their season debut last Dec. 20. NLEX coach Yeng Guiao had nothing but glowing words for NLEX’s prized recruit. “I had no doubt he can make an impact and lead the team as I was hoping. That’s exactly what he did. He’s going to be special,” Guiao said of the second overall in the 2017 PBA Rookie Draft. Five days later, the 24-year-old proved that his impressive debut was no fluke after leading NLEX past GlobalPort, 115-104 on Christmas Day at the Philippine Arena in Bocaue, Bulacan.